The Air National Guard is administered by the National Guard Bureau, a joint bureau of the departments of the Army and Air Force, located in the Pentagon, Washington, D.C. It is one of the seven Reserve components of the United States armed forces that augments the active components in the performance of their missions. The Air National Guard has both a federal and state mission. The dual mission, a provision of the U. S. Constitution, results in each guardsman holding membership in the National Guard of his or her state and in the National Guard of the United States. The Air National Guard’s federal mission is to maintain well-trained, well-equipped units available for prompt mobilization during war and provide assistance during national emergencies (such as natural disasters or civil disturbances). During peacetime, the combat-ready units and support units are assigned to most Air Force major commands to carry out missions compatible with training, mobilization readiness, humanitarian and contingency operations such as Operation Enduring Freedom in Afghanistan. Air National Guard units may be activated in a number of ways as prescribed by public law. Most of the laws may be found in Title 10 of the U.S. Code. The Air National Guard provides almost half of the Air Force’s tactical airlift support, combat communications functions, aeromedical evacuations and aerial refueling. In addition, the Air National Guard has total responsibility for air defense of the entire United States. The primary sources of full-time support for Air National Guard units are the dual-status military technician and guardsmen on active duty. These people perform day-to-day management, administration and maintenance. By law, dual-status military technicians are civil service employees of the federal government who must be military members of the unit that employs them. Technicians train with the unit and are mobilized with it when it’s activated. Active-duty members serve under the command authority of their respective state or territorial governors until mobilized for federal duty. The Air National Guard has more than 106,000 officers and enlisted people who serve in 89 flying units and 579 mission support units. The National Guard Bureau, both a staff and operating agency, administers the federal functions of the Army and the Air National Guard. As a staff agency, the National Guard Bureau participates with the Army and Air staffs in developing and coordinating programs that directly affect the National Guard. 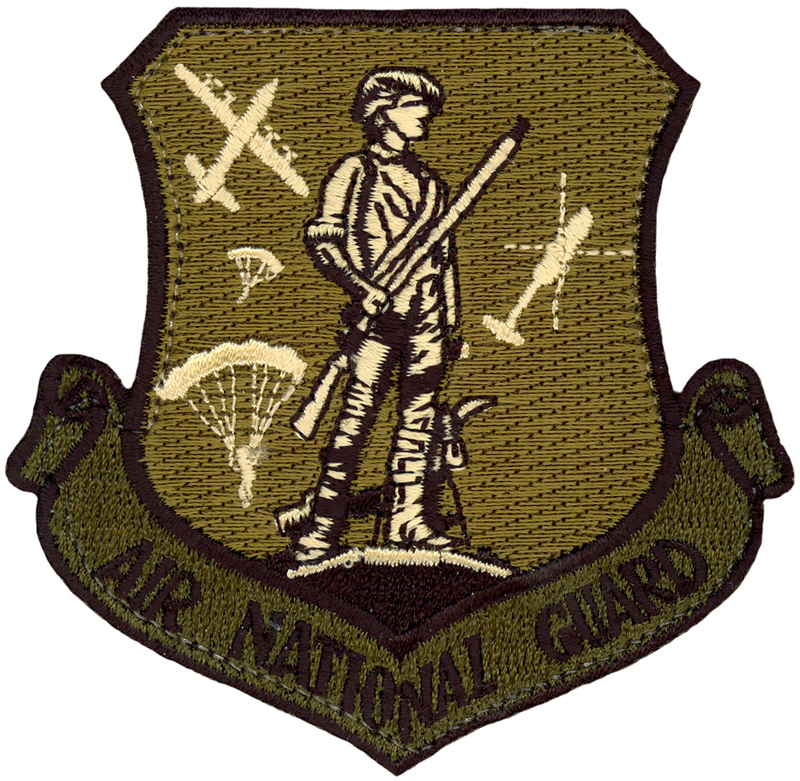 As an operating agency, the National Guard Bureau formulates and administers the programs for training, development and maintenance of the Army National Guard and Air National Guard and acts as the channel of communication between the Army, Air Force and the 54 states and territories where National Guard units are located. The authorized strength for the Air National Guard for the current fiscal year is 106,700. The operating budget for this fiscal year is $3,022 million for personnel, $6,182 million for operation and maintenance, for a total of $9, 204 million. Besides maintaining 94 percent of the U.S. alert sites for air defense, the Air National Guard flew more than 1,300 sorties in fiscal 2010 to protect U.S. air sovereignty while still performing many other Air Force-related roles and missions. The Air National Guard provides tactical airlift, air refueling tankers, general purpose fighters, rescue and recovery capabilities, tactical air support, weather flights, strategic airlift, special operations capabilities and aeromedical evacuation units. Airlift squadrons fly C-130 Hercules, C-5 Galaxy, and C-17 Globemaster III aircraft that transport people, equipment and supplies. Air refueling units, flying KC-135 Stratotankers, provide air-to-air refueling for strategic and tactical aircraft. The Air National Guard has three rescue and recovery squadrons that fly HH-60 helicopters and HC-130 aircraft. These units provide important lifesaving capabilities and services to civilian and military agencies. Air support units that fly A-10C Thunderbolt IIs provide forward air control support of close-air support missions. The general-purpose fighter force is equipped with F-22 Raptor, F-15 Eagle, F-16 Fighting Falcon and A-10 aircraft. Support units are essential to the Air Force mission. In the Air National Guard they include air traffic control units, combat communications squadrons, civil engineering and communication flights and squadrons. Support units also include weather flights, aircraft control and warning squadrons, a range control squadron and an electronic security unit. Air National Guard weather flights provide weather support to Air Force and Army National Guard and Army Reserve divisions and brigades. During mobilization or federal call up, weather flight units are under the Air Combat Command, except for one, which falls under Pacific Air Forces. Civil engineer squadrons provide engineer and firefighter forces trained and equipped to deploy on short notice. Other civil engineer squadrons provide self-sufficient, deployable civil engineer teams to perform heavy repair and maintenance on air bases and remote sites. Aerial port units provide trained people to support Air Mobility Command’s two major theater war commitments. They deploy to 20 active-duty aerial port locations worldwide for annual tour training. Medical units located with parent flying organizations provide day-to-day health care for flying and non-flying people during their two-week annual training period or during monthly two-day unit training assemblies.